The Indian market continues to attract large investors from around the world. India is only at the beginning of a major development process. Above average growth is predicted for the Indian economy in the coming years, thus making it an exciting prospect for any company entering the Indian market. 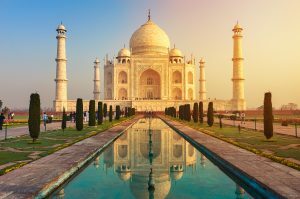 India is one of the largest economies in the world by purchasing power and the world’s tenth-largest by nominal GDP and third-largest by purchasing power parity. Following economic reforms in 1991, India became one of the fastest growing major economies; it is considered a newly industrialised country. In 2000, the Indian Government smoothed the way for continued economic growth by liberalising trade through lowering tariffs, offering tax relief, privatising many state companies, opening the country to foreign investment and heavily investing in infrastructure projects. As a result, the market continues to attract large investors from around the world. Major industries include textiles, telecommunications, chemicals, pharmaceuticals, biotechnology, food processing, steel, transport equipment, cement, mining, petroleum, machinery, and software. The capital of India and most populous city in India with 20.5 million inhabitants in the metropolitan area. Mumbai is located on the West coast of India and boasts a deep, natural harbour. Mumbai is the wealthiest city in India and has the highest GDP of any city in South, West or Central Asia. It is also the commercial and entertainment capital of India and is the home of important financial institutions, such as the National Stock Exchange of India. Mumbai is considered the centre of the construction industry and is one of the biggest international trade hubs in India with state-of-the-art transportation infrastructure, which is vital to any successful trade show. Mumbai is considered the perfect location for trade fairs such as bC India and LASER World of PHOTONICS, located at the Bandra Kurla Complex and Bombay Exhibition Centre respectively. Situated in the north of India, New Delhi is the the seat of executive, legislative, and judiciary branches of the Government of India. The city is known as the microcosm of India and is recognised worldwide as a leading area in arts, finance, education, research & development and transport. It is widely seen as the best city to live in India and one of the ultimate cities to visit as a tourist destination. New Delhi is the home of one of India’s largest commercial and financial centres and is also an important area for the elctronics industry. The past decade has been remarkable for the Indian electronics industry. The tremendous growth in all segments of electronics has given the industry a key position on the global map. All six major sub-sectors of Indian electronics industry saw growth in production turnover during the fiscal year 2012. Pragati Maidan is the venue for several national and international exhibitions, including electronica & productronica India and is a one of the prime landmarks in Delhi. Located in the south east of India, Bangalore is one of the major economic centres in India and the second fastest growing major metropolis in the country. Bangalore is known as the Garden City of India because of its greenery and the presence of many public parks. It also has a vibrant theatre, film and music scene, making it a diverse and cosmopolitan city which is reflected in the varied mix of restaurant types and cuisines. Bangalore is India’s ‘Silicon Valley’ – the IT hub of the country. A high volume of electronics production, high numbers of EMS companies, research and educational institutions located here make this area the centre of the electronics industry. The Bangalore International Exhibition Centre is a world-class exhibition centre located in the heart of Bangalore and is the venue for electronica & productronica India, South Asia’s leading trade fair for the electronics industry.